One of the reasons I love GOG so much — besides their awesome prices, lack of DLC and games that mostly work on newer hardware — are the goodies. Soundtracks, wallpapers, icons, etc etc. 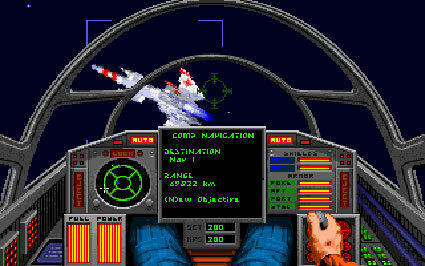 Well, I just noticed they added a couple of goodies to two of their Wing Commander titles, Wing Commander 1+2 and Wing Commander: Privateer. This includes a “Wing Commander product proposal” and a “playtester’s guide” respectfully. These updates are easy to miss, so I wanted to mention ’em in case you didn’t see ’em. Enjoy! Oh frak. Those, not them. Bloody T9.